Data, as seen in the episode “The Big Goodbye”, is accompanied by a “Data” Starfleet base, and dark brown/maroon accessories, which include a bowl, a pistol, a bottle of wine, and a typewriter. 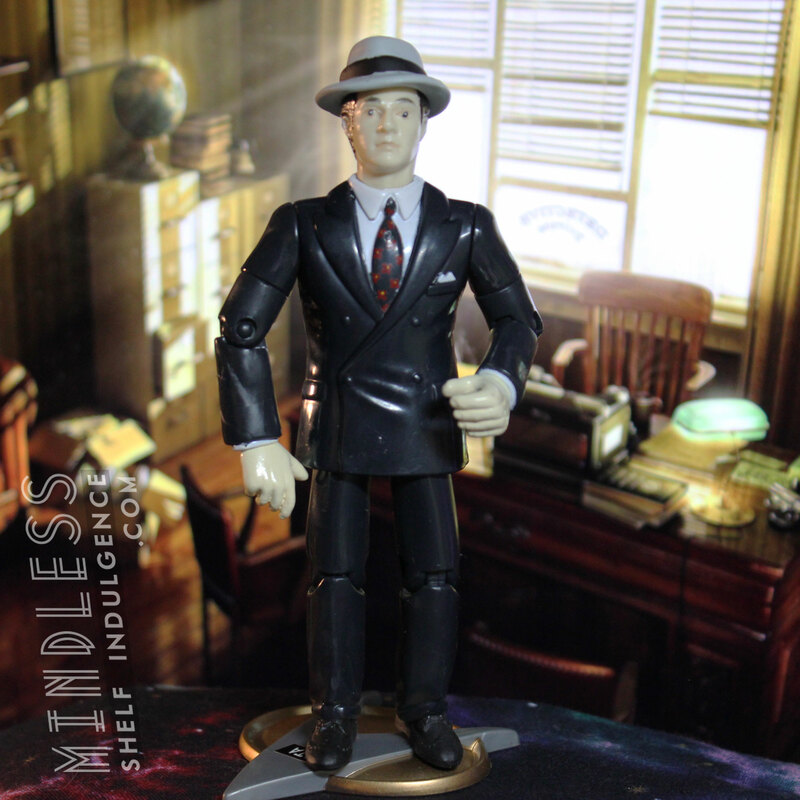 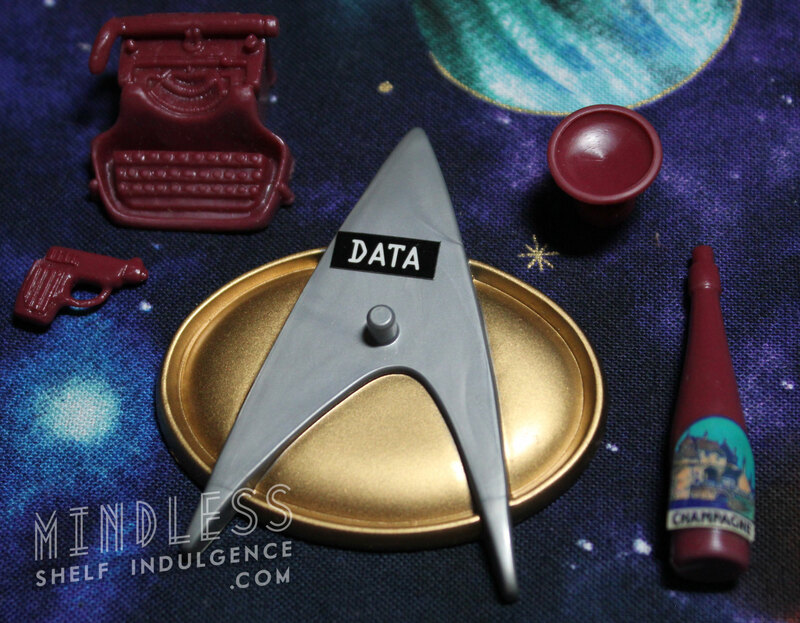 Data is one of a few 1940s-styled figures from Picard’s holodeck adventures; Guinan, Beverly Crusher, and a couple of different Picards are also included in this weird sub-set. 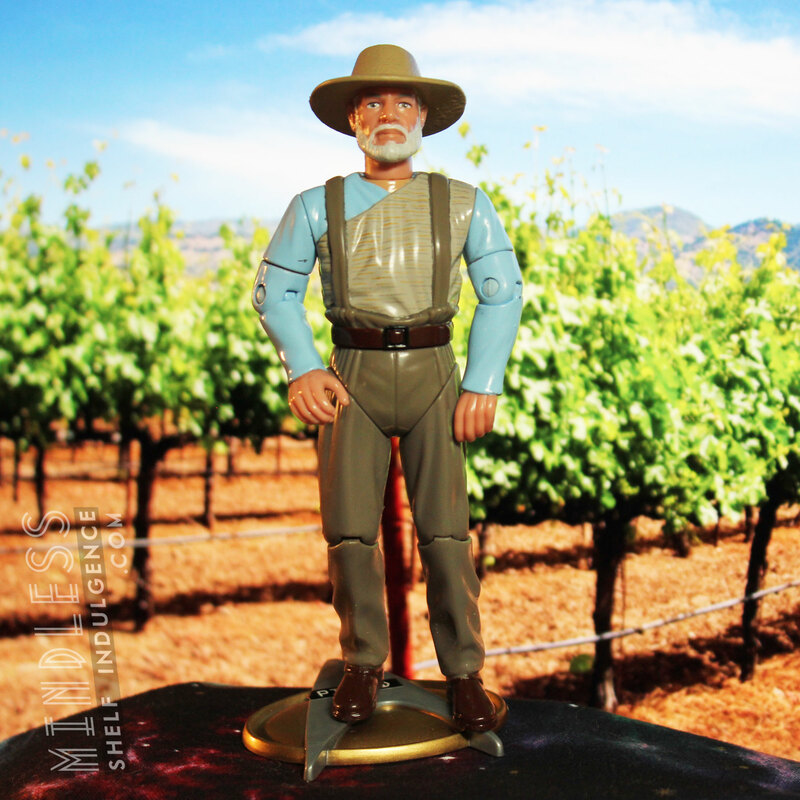 Picard in "All Good Things"